Christmas is my favourite time of the year (despite loving summer! ) 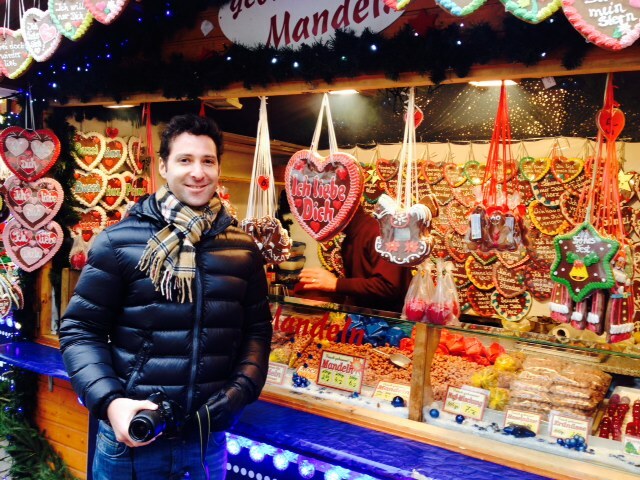 and the highlight of this period is a visit to one of the traditional Christmas markets in Germany! 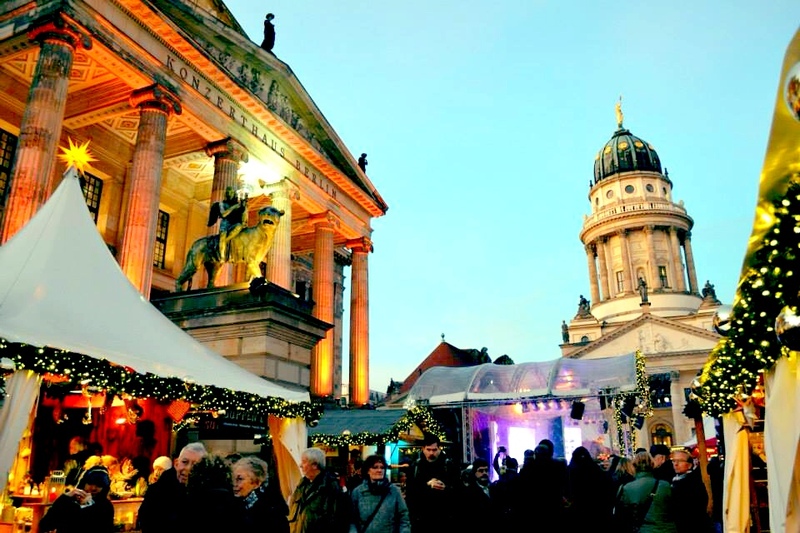 Berlin is the capital of Christmas markets with over 60 to choose from! 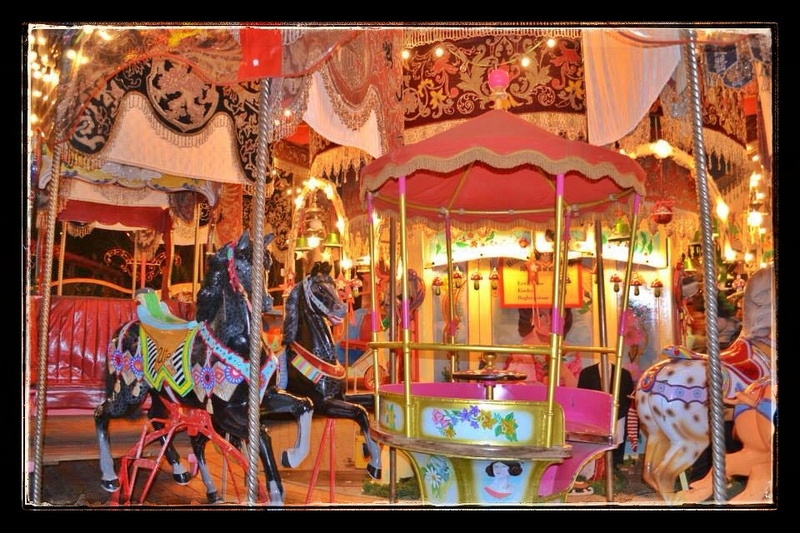 If you are tired of the commercialisation that has taken over the holidays , head to the country of the Nutcrackers for a romantic and traditional Christmas . 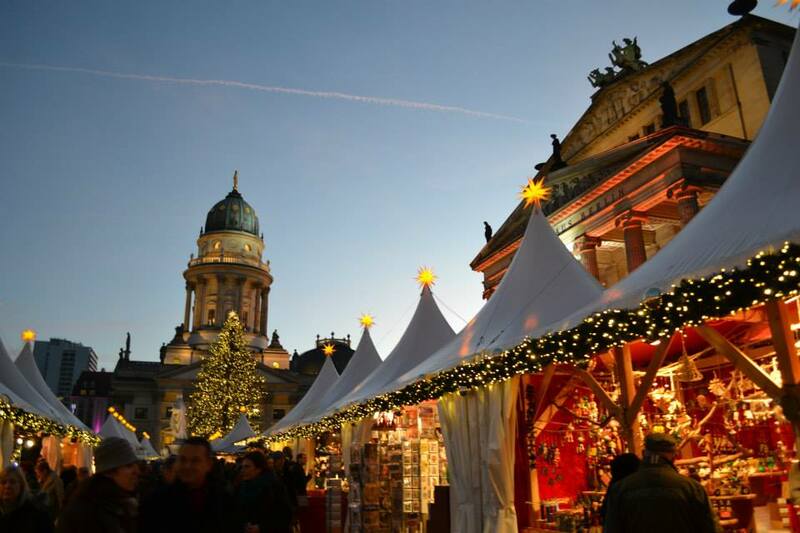 The S-Class of the Christmas markets is without a doubt the “Weihnachtszauber at Gendarmenmarkt” in Berlin-Mitte. 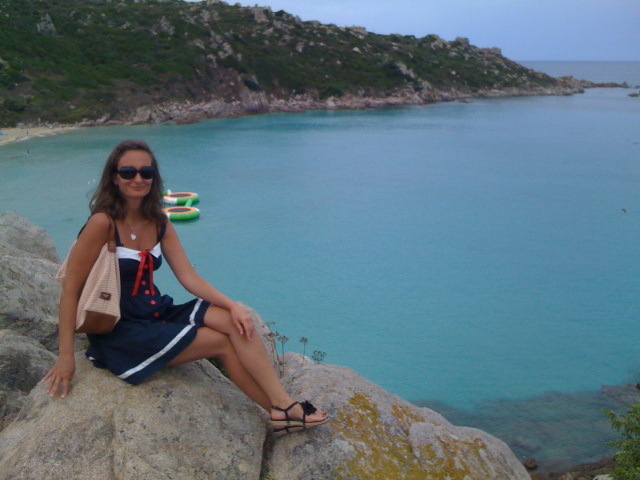 Located on one of the most beautiful squares in Europe. Three impressive buildings provide the stunning backdrop: The French cathedral, the German cathedral and the Concert Hall. Popular for it’s unique hand-made products, you can find handmade presents such as traditional wooden carved Christmas figurines, handmade glass baubles and lambskin shoes. 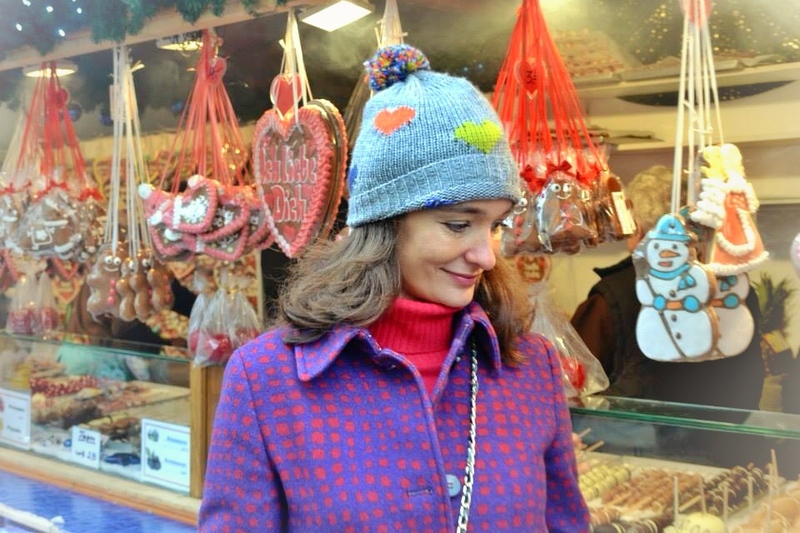 All the while the seductive scent of burnt almonds, chestnuts, baked apples, grilled sausages and spicy Gluehwein fills the air! 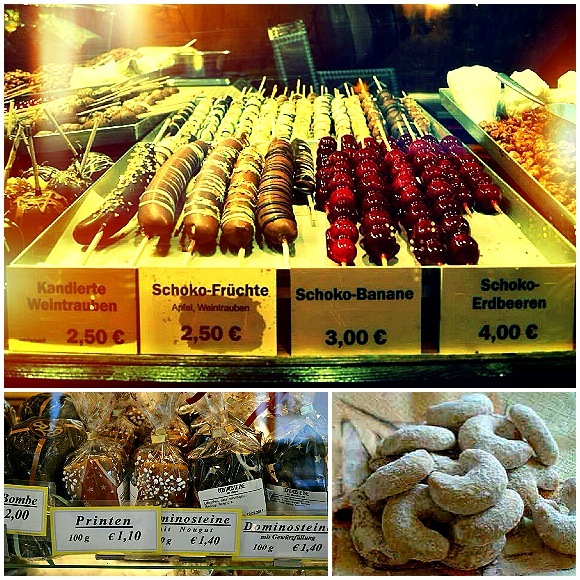 Typical stand offering candied fruit, gingerbread hearts and an array of Lebkuchen. Hat from Antoni & Alison, caot from Max & Co. Red turtle neck jumper from Uniqlo. 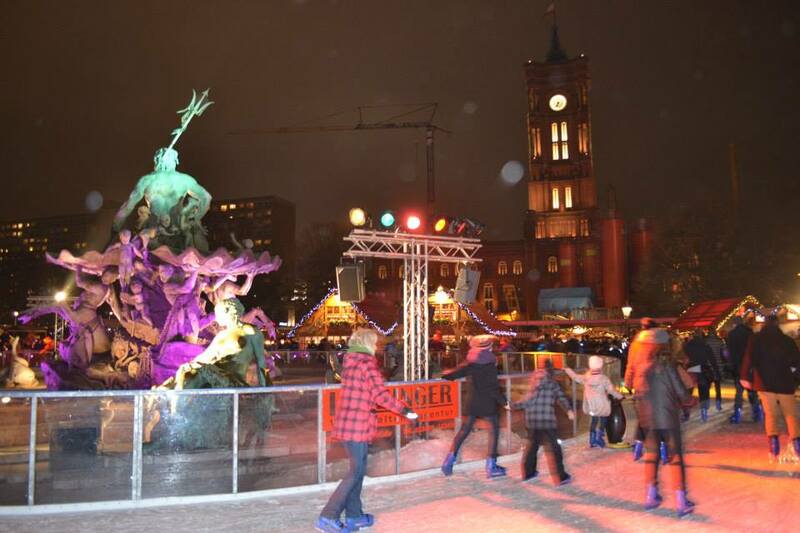 Christmas is a big deal in Germany, a time for introspection and spending time with your family, everyone gets into it. Stroll through the residential areas and you will see almost every window and balcony is decorated with light chains, star lampshades, reindeers and Christmas trees. 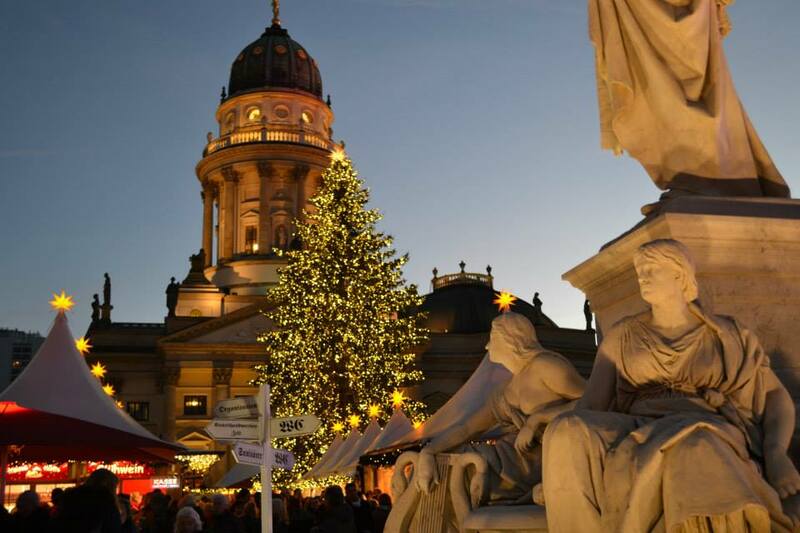 Did you know that the advent wreath, glass baubles and the Christmas tree all originated in Germany between the fourteenth and nineteenth centuries? 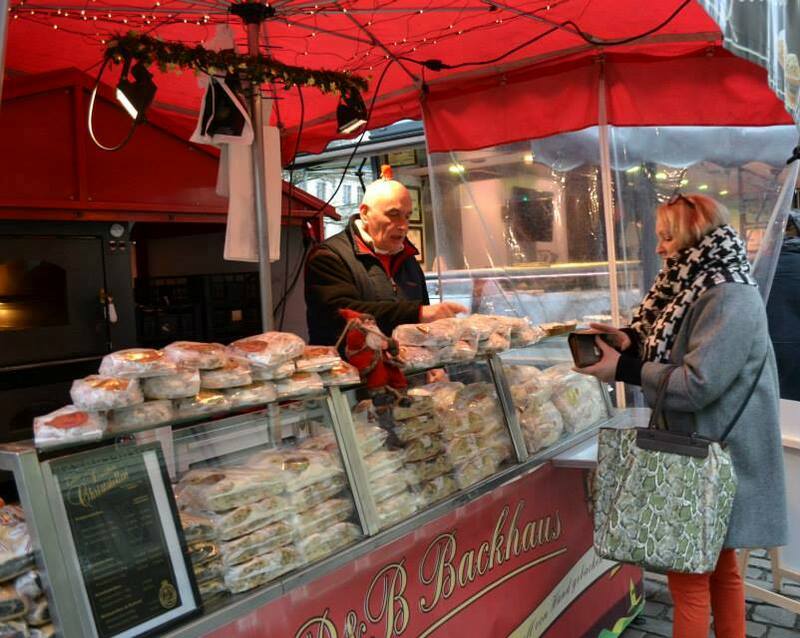 Mummy Romantique buying traditional Christmas Stollen. Her monochrome dogstooth scarf is from Moschino. Snakeskin bag from Alberta Ferreti. German Stollen, a loaf-shaped fruitcake made of yeast, water and flour, is traditionally eaten around Christmas time in Germany. The treat, which was first baked in Dresden in the 14th century, is filled with nuts, raisins, candied citrus, and spices, and its form is said to represent Baby Jesus in swaddling clothes. Tipp: Always cut a Stollen from the middle, this way the cake won’t dry out as quickly. The praline “Dominostein” is another Christmas sweet from Dresden, made up of three layers: Lebkuchen, sour cherry and marzipan, covered in dark chocolate. The crescent shaped biscuits “Vanillekipferl” come from Vienna, Austria and are traditionally eaten at Christmas time. They are baked in Germany, Hungary, Czech Republic and Slovakia. What would Christmas be without the story of Hansel and Gretel and the gingerbread house? 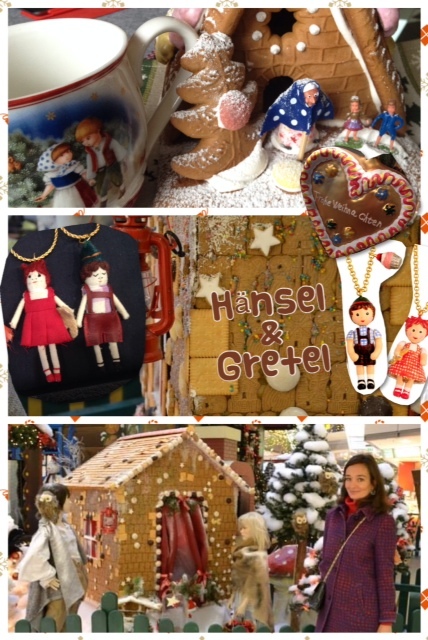 Christmas and the fairy tale Hansel and Gretel by the Brothers Grimm go together like mulled wine and mince pies! Above: Mug from Villeroy & Boch, Christmas edition 2013. Necklaces from Les Nereides. Gingerbread house made entirely of Spekulatius (spiced biscuits), Leibniz butter cookies, cinnamon starts and Pfeffernuesse. Yum!